The PCI Education Promoters(EPs) will be responsible for working closely with the Education Cascade Groups Volunteers, House Hold Neighbor Cycles, Village/Ward leaders and District Officials in all important program elements related to supporting coordination of program activities. Education Promoters(EPs) will play an important role in supporting multiple aspects of program interventions and trainings at the relevant site. He/She will be responsible for maintaining good relationships between PCI Tanzania, ECGs, parents in the respective villages and local government leaders in respective village/wards. S/he will apply program quality efforts to ensure establishment of ECGs in selected program village, promote parents’ engagements and nurture volunteer morale for working with neighbor cycles. By demonstrating high quality commitment to assignments and ensuring close collaboration and cooperation with target communities s/he will play a critical role in promoting parents attitude to support children in preparing their children for joining schools. 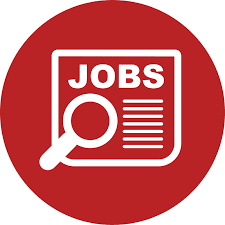 Objective of the Position: To coordinate ECG activities at ward and school/village through community-centered planning approaches in order to establish supportive environment for program interventions implementation. To support monitoring, assessment and evaluation activities; facilitate collective problem solving; promote quality assurance; strengthen linkages and information exchange between education staff, stakeholders and beneficiaries. To ensure accompaniment is done for the sustainability of ECG at community level. Meeting with the leadership committees(Sub-hamlet/village Leaders, Village Government Councils and Ward Development Councils). Ensure that ECGVs are working closely with Primary Schools(Head Teachers and Pre- primary teachers) and village government leaders. Organizing households(during roll out/expansion) into Neighbor Circles(8 House hold each). Meeting with each Neighbor Circles to assist them in selecting their Education Cascade Group Volunteers using the set criteria. Facilitates ECG meetings with his/her Education Cascade Group Volunteers (ECGVs) every two weeks following the lesson plans in the curricula provided by PCI and learning station supplies, teaching ECGVs new skills and behavior to promote with parents/caregivers. Attends training session on the modules and then accurately replicate the training with the ECGVs, sharing correct information and demonstrating the skills learned. Supervises one ECGV after each ECGV meeting by accompanying her on home visits and by observing him/her leading FTG meetings. S/he will use Quality Improvement and Verification (QIV) Checklist and reports the data from the assessments. Attending Monthly meetings for reviewing lesson plans and planning for next month activities. Conduct trainings of the ECGVs on the lesson plans and flipcharts, on biweekly basis, reviews flipchart lesson plans with ECGVs and ensure they understand the information well and can teach the information in a participatory manner. Ensures that each ECGVs have the supplies necessary to do their jobs (e.g., registers, flipcharts, lesson plans, Learning Station Materials). Responsible for the performance and professional development of ECGVs. Ensure ECG Register and Neighbour Circle Register documents during meetings with ECGVs are properly filled. Collects ECGVs reports on a monthly basis, reviews the reports and ensures the information presented is reasonable and complete. Prepares a monthly report using the information provided by ECGVs. Maintains a filing system in the project office (hard copy or electronic) of ECGVs reports, and Quality Improvement and Verification Checklists (QIVCs) for easy accessible. Collect and generate accurate documentation from the Neighbor Circles and ECGs to demonstrate the execution of the project activities using ECG developed tools for monitoring. Link ECGVs and Neighbor Circles and PCI Office by sharing relevant information to respective groups in accepted ways by beneficiaries. Represent the organization in Local Leaders Meetings at village/ward level when needed. Promote and facilitate communication of programmatic highlights and events within the broader PCI Tanzania staff family. Undertake any other duty to support program activities as may be assigned by supervisor or Country Office. APPLIED KNOWLEDGE: Demonstrates understanding of PCI Tanzania, job, and work procedures. Demonstrates knowledge and practical know-how as needed for position. TEAMWORK: Participates, listens, and contributes in a team environment; understands individual role. Appropriate conduct; respectful; works well with colleagues. EXTERNAL RELATIONS: Represents and promotes PCI Tanzania both inside and outside the normal scope of business with tact, responsibility and diplomacy (donors, governments, partner organizations, vendors, etc.). INITIATIVE/LEADERSHIP: Self-starter; follows jobs through to completion; is resourceful. Meets work commitments with a minimum amount of supervision. MEETS DEADLINES: Arranges work load, plans, and establishes priorities; Works effectively and efficiently to meet deadlines. WORK QUALITY: Performs responsibilities effectively; demonstrates accuracy, precision, neatness and completeness. Diploma in Education, with a focus on Early Childhood or Primary Education. Diploma in Sociology or social work with experience of working with children. At least 3 years’ experience in Early Child Education or Social work in working with children. High level of experience in coordination at district, ward and village levels. Ability to organize training and skilled in facilitation of training. Effective and proficient communication in English and Kiswahili languages. 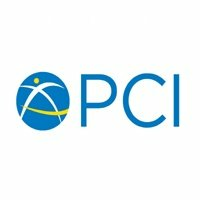 PCI is an Equal Opportunity Employer.